Qualify for Dr Pepper Dallas Cup XXXIV-2013 | Dallas Cup, Inc.
Dr Pepper Dallas Cup XXXIV-2013 ! 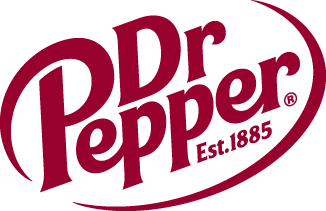 Dr Pepper Dallas Cup is delighted to be involved with two such excellent youth soccer tournaments and to be able to offer automatic entry into Dr Pepper Dallas Cup XXXVI, 24-31 March to the winners of the boys group ages U13, U14, U15, U16. Automatic entry will also be granted to any “out of town team” (a team outside the North Texas State Soccer Association boundaries) that is a losing finalist in any of the above age groups. Group winners and out of town finalists that are Pre Academy or USSF academy teams will be required to play up one age level in Dr Pepper Dallas Cup XXXIV, 24-31 March 2013. If a Dallas metro area team is a group winner they will be required to provide the Dallas Cup HomeStay program or volunteer hours if requested by the Dallas Cup office. Any team that earns the automatic entry to Dr Pepper Dallas Cup XXXIV will be required to maintain a minimum of 85% of the rostered players in the qualifying tournament on their Dallas Cup roster in 2013. Full information for the two tournaments can be found at the web sites shown below. Please contact the tournaments directly with any questions as the Dallas Cup office is not involved with the operational aspects of the two tournaments.